China has a reputation for lung-choking smog — a country that runs on coal, where smokestacks at outdated steel factories belch black air. But tackling pollution has become a national priority, and the pace of change is often mind-boggling. Can the world’s biggest polluter bring real change to its smoggy skies? The city of Foshan is in the middle of China's manufacturing heartland. It may be big and noisy, factories gushing consumer products and pollution, but its new city bus glides along almost silently, producing no pollution at all. The bus runs on hydrogen fuel cells, unique Canadian technology made in Burnaby, B.C., by Ballard Power Systems, now installed in engines produced locally by a Chinese partner and investor. Ballard has a contract for 300 buses in two cities here. The buses go much farther and take much less time to refuel than the battery-powered electric buses which share the roads here, says Ballard. On today's test run, things are going smoothly. And in today's China, the opportunities are growing quickly. "People do see very serious air quality issues in Beijing and probably 50 other cities in China, particularly last year when you had the red alerts. These issues are driving real change," says Ballard president Randy MacEwen, as we stand near a bus stop. 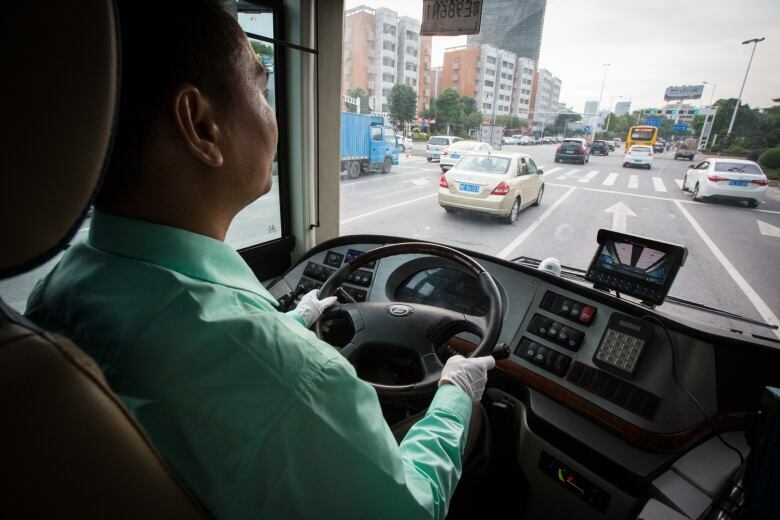 China puts more than 300,000 new urban buses on the road every year. MacEwen figures that within a decade, 60,000 of those will run on hydrogen fuel cells. Canadian cities use none. But here, tackling pollution has become a national priority, and the pace of change is often mind-boggling. 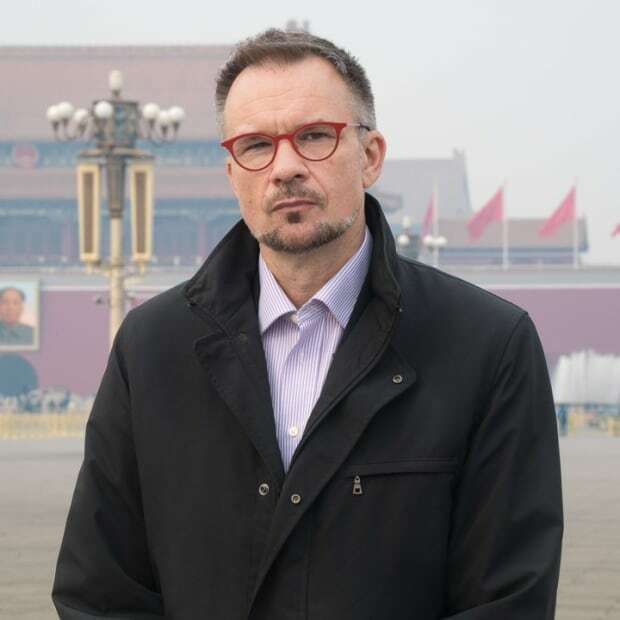 "The difference in the political and social structure here in China means that the speed of government — and the speed of business and the speed of market adoption — is unlike anywhere else in the rest of the world," says MacEwen. Starting with government subsidies that cover up to 60 per cent of the cost of each fuel cell bus. China has a reputation as a country where coal is king and smokestacks at outdated steel factories belch black air, and that is still true in many places around the country. But China's growing middle class has been unusually vocal in its complaints about toxic air in cities like Beijing, which can see day after day of lung-choking smog. 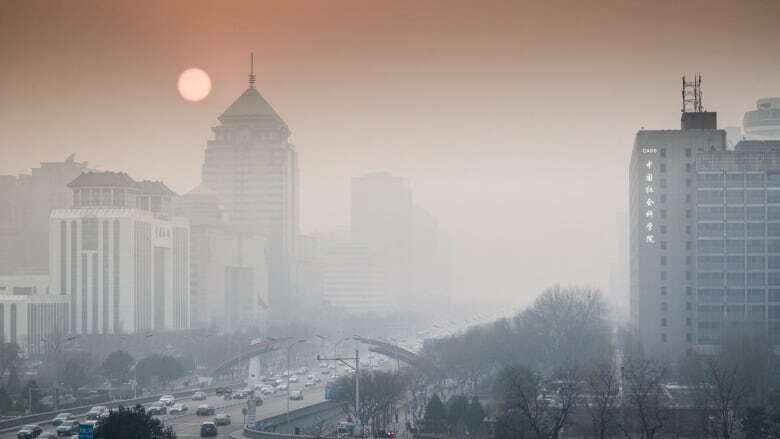 A survey by the Pew Research Center this past spring found that seven out of 10 people in China felt air and water pollution are a big problem — either a really, or moderately, big one. And fully half of those surveyed said air pollution should be reduced even if that means slower economic growth. The outcry seems to have been heard at the top political levels. Chinese observers say that's one reason China's parliament ratified the Paris agreement on climate change, despite the accord's ambitious targets. The move was announced jointly with the United States with much fanfare just before the G20 summit last month. Canada ratified the agreement one month later. Under the deal, China commits to increasing its share of energy use that comes from non-fossil fuels to 20 per cent, from about 10 per cent in past years. It also promises that its carbon emissions will peak by 2030 and then gradually decline. That's a far cry from previous climate change negotiations, where China argued it should not be expected to make sacrifices like these because its economy is still developing. In a speech at the summit, Chinese President Xi Jinping said that for him, "green mountains and clear water are as good as mountains of gold and silver." "To protect the environment is to protect productivity, and to improve the environment is to boost productivity," Xi said. Experts say that has become a priority for the president. There is a recognition that China has "bigger responsibilities and also capabilities than other developing countries," says Wang Tao, a Beijing-based energy and climate expert with the Carnegie-Tsinghua Center for Global Policy. "Xi Jinping has higher ambitions in achieving goals of climate change because he is more proactive in international affairs, and he also wants to see China emerge as a more respected and active international player," he says. That may explain China's booming wind and solar energy sectors, spurred on by billions of dollars in subsidies from Beijing. But the development hasn't been entirely trouble free. Those subsidies have been unpredictable and unevenly implemented. Green energy firms have also found themselves sidelined by the coal industry at times. It still has enormous political clout in China and consists largely of state-owned firms, with long-established connections. Still, the move away from fossil fuels is real. 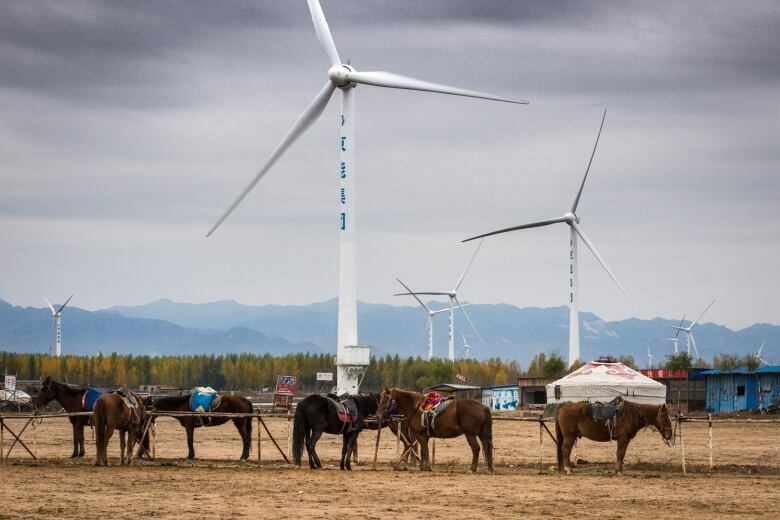 A study by the environmental group Greenpeace found that last year, all of China's additional energy needs were met by green energy, as its growth outstrips the use of coal and oil. In fact, the level of coal-generated electricity has declined for three years in a row. Meanwhile, wind turbines have been going up at an average rate of one every single hour. 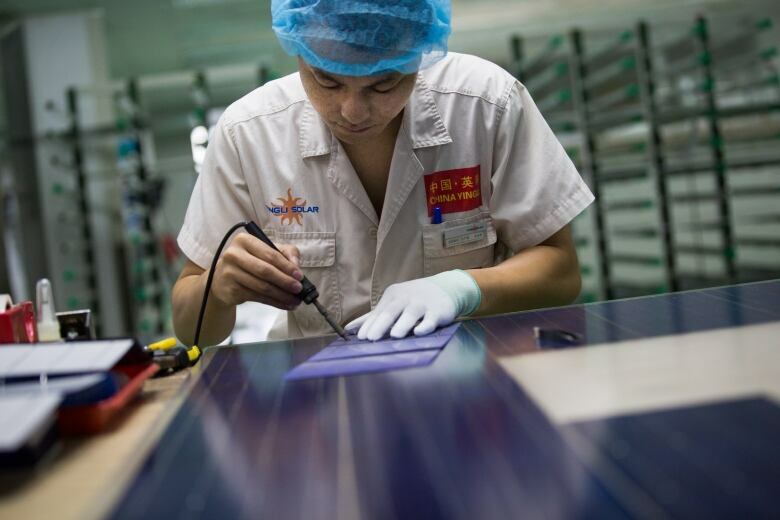 China is already the largest producer of solar panels in the world. Based on this, Li Yan from Greenpeace in Beijing says China is capable of meeting its Paris accord commitments, despite being the world's biggest energy user and emitter of greenhouse gasses. "No one can use China as an excuse of not taking action anymore," she says.